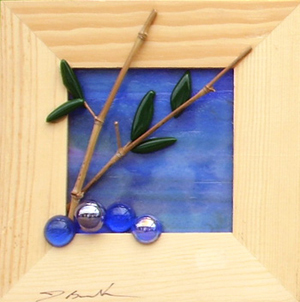 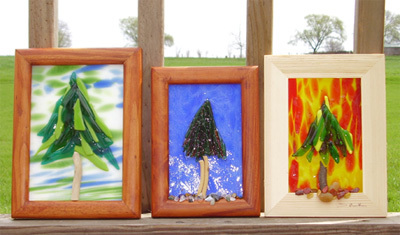 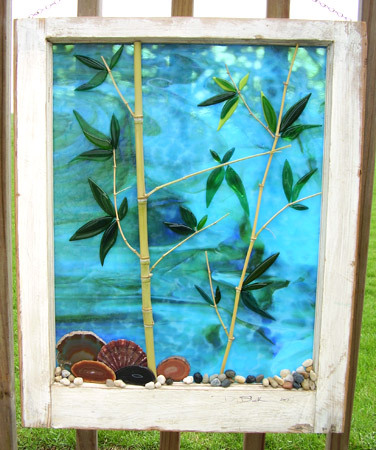 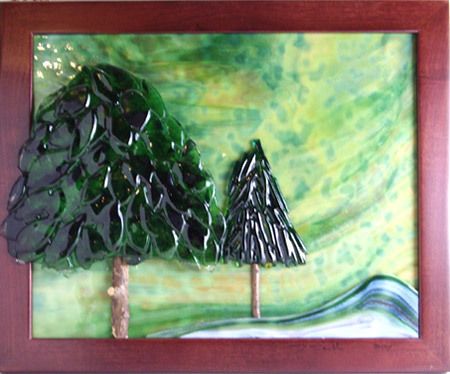 The trees in these pieces are created from fused glass. 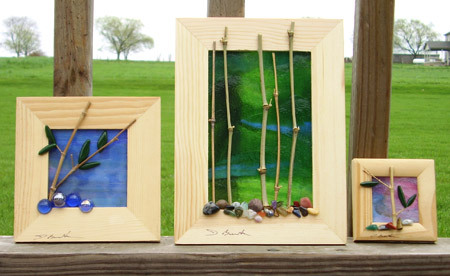 Deb cuts the glass, stacks it in the desired shape and fires it in a kiln. 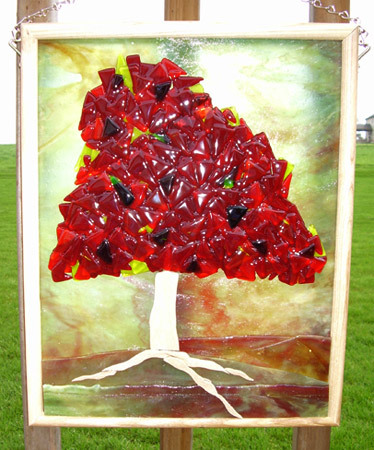 As a result, the small pieces of glass fuse together into one solid piece, while retaining their original shape.